Williamstown, Victoria – Australia ‘Port Phillip Bay’ Williamstown Pier. 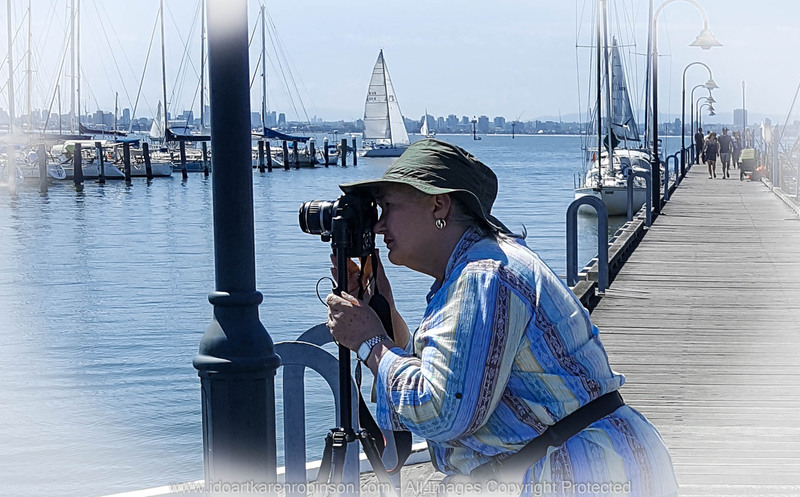 © Karen Robinson http://www.idoartkarenrobinson.com Feb 2017 Photo of Karen taken by her husband using a Samsung Galaxy S6 mobile phone. Once more my hubby and I packed up the photography equipment and headed out for the day! The aim of this photography adventure was to capture seascape scenes along the shoreline of Williamstown, Victoria – Australia. 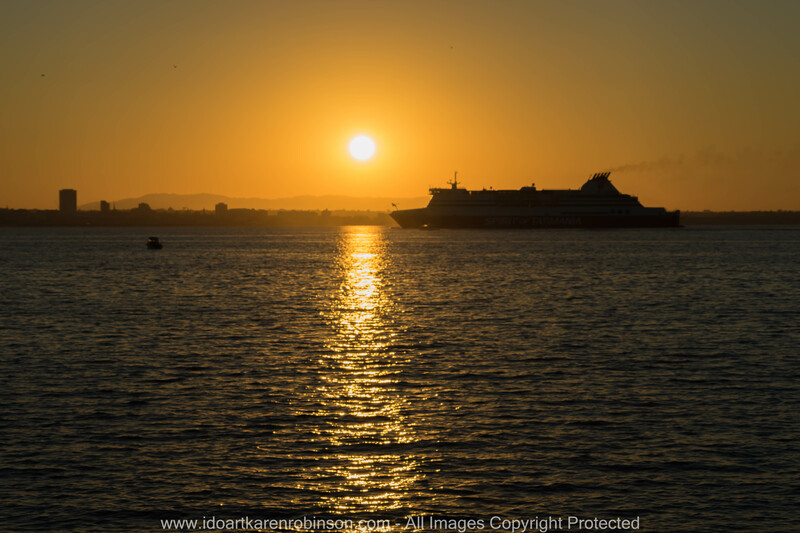 The first visit was after sunrise, early to mid-morning and mostly around the Williamstown Pier where numerous boats and yachts were anchored within the safe harbour of Port Phillip Bay. From this advantage point we could see Melbourne’s cityscape in the far background. My second visit on another day was at a time where I could capture the ‘before and during’ sunrise views. This time we located ourselves a little further alone from the Williamstown Pier; a location that gave us a clear view across the harbour and allowing us to see some of Melbourne’s cityscape with the Dandenong Ranges deep in the background. 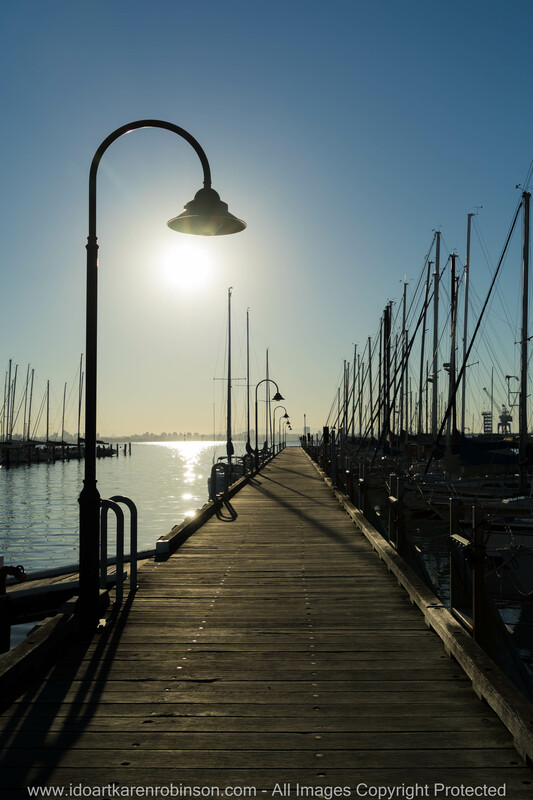 Williamstown is the oldest continuous settlement on the shores of Port Phillip and is an area rich in maritime history (Parks Victoria 2016). 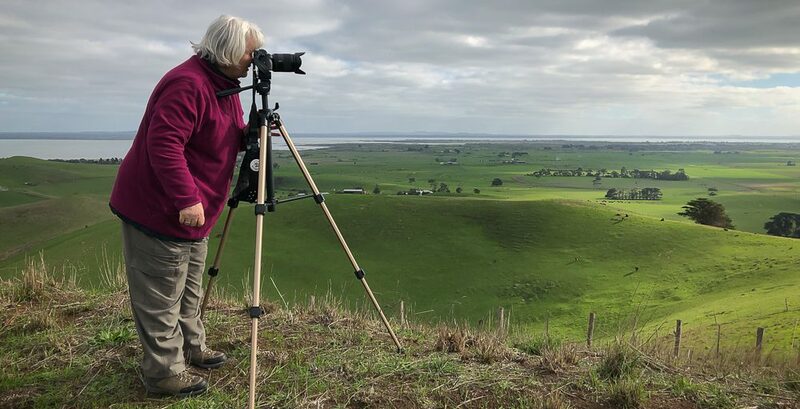 During this seascape photography exercise and during my first visit to Williamstown, I used my EOS 1100D Canon DSLR camera on a tripod with a remote timer for the big shots. The second visit – I used my new compact system camera a Sony A7 Mark II – Full Frame with a new lense Sony A FE24-240mm F3.5-6.3 OSS hand-held. It was the first time I had used this new camera and lense, but once I got the hang of it – it was such a pleasure to use. I also used my Samsung Galaxy S6 mobile phone for quick spontaneous photographs and gain GPS location readings. 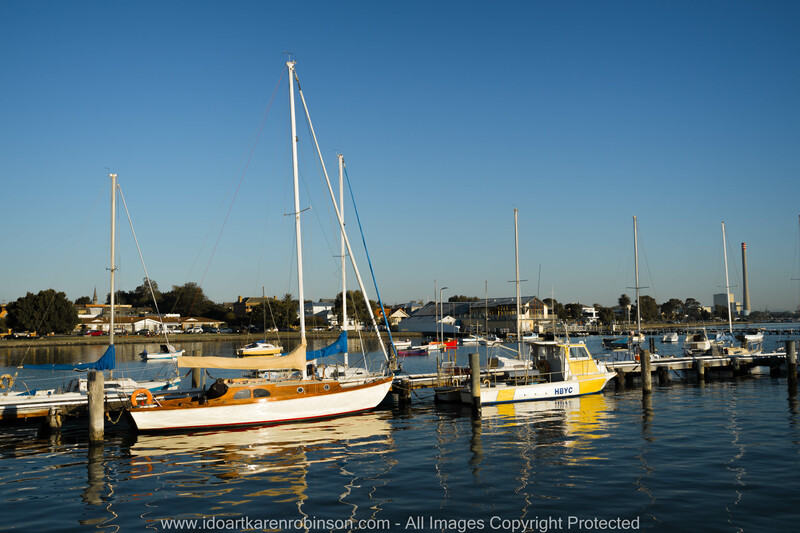 Williamstown, Victoria – Australia ‘Port Phillip Bay’ looking back towards Williamstown. Photographed by © Karen Robinson http://www.idoartkarenrobinson.com March 2017. Taken with Sony Camera & Lense. On my return home, I downloaded all the photographs into Adobe Lightroom 6. I developed a small selection of photographs. During the process of developing them I was able to see what I needed to address during my next photographic adventure. But considering it was my first time out using my new Sony Camera – I was pleasantly surprised with the results. The Sony Camera was easy to use and made my old camera feel like a dinosaur in comparison. Most of the photos required little adjustment out of the camera which was pleasing. But I did decide to turn some into black and white photographs that I had taken on my old camera in order to gain the best raw photographic details – using Lightroom 6. Please find both above and below the best of what I took during these two days. 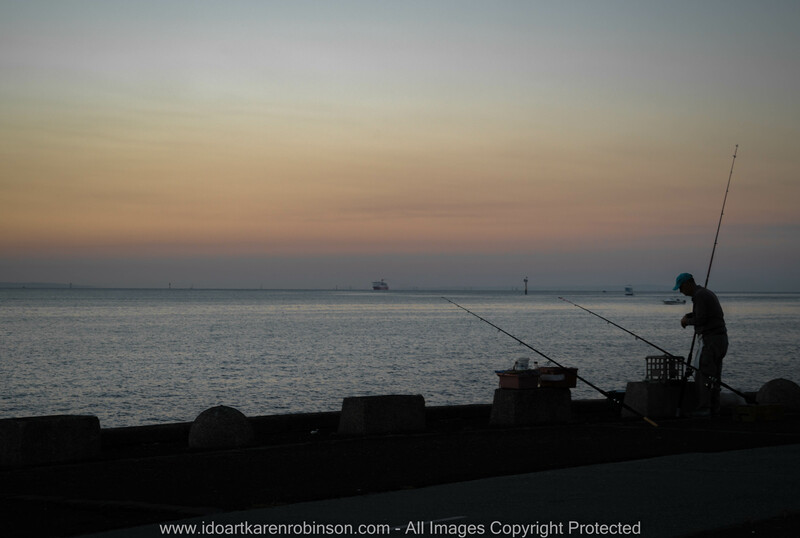 Williamstown, Victoria – Australia ‘Port Phillip Bay’ featuring a local fisherman at dawn – Photographed by © Karen Robinson http://www.idoartkarenrobinson.com March 2017. Taken with Sony Camera and Lense. 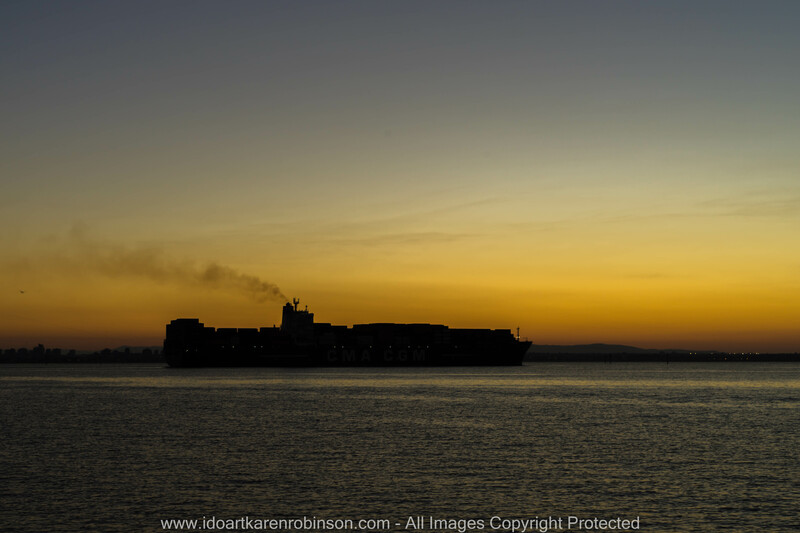 Williamstown, Victoria – Australia ‘Port Phillip Bay’ featuring Cargo Container Vessel heading out towards the ‘Heads’ of Port Phillip Bay at sunrise – Photographed by © Karen Robinson http://www.idoartkarenrobinson.com March 2017. Taken with Sony Camera and Lense. 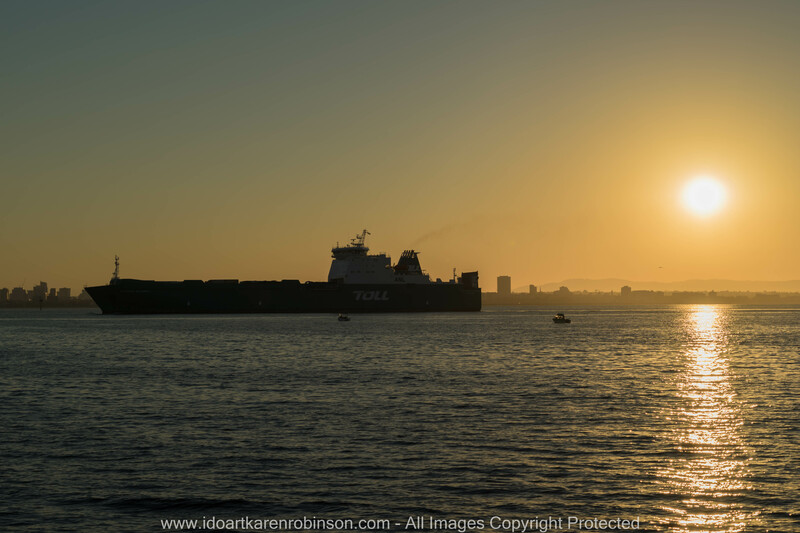 Williamstown, Victoria – Australia ‘Port Phillip Bay’ featuring Cargo Container Vessel heading into towards Melbourne’s Container Terminal at Sun-raise – Photographed by © Karen Robinson http://www.idoartkarenrobinson.com March 2017. Taken with Sony Camera and Lense. Being on location before sunrise and by the sea – was such a beautiful experience. Watching the sun creep up and over the horizon, releasing its glorious colourful display of golden yellows and mellow oranges was visually breathtaking. And the fresh salt sea air brushing across our faces made us feel good to be alive! Thus using photography to improve my sense of wellbeing definitely works for me; we left in high spirits! 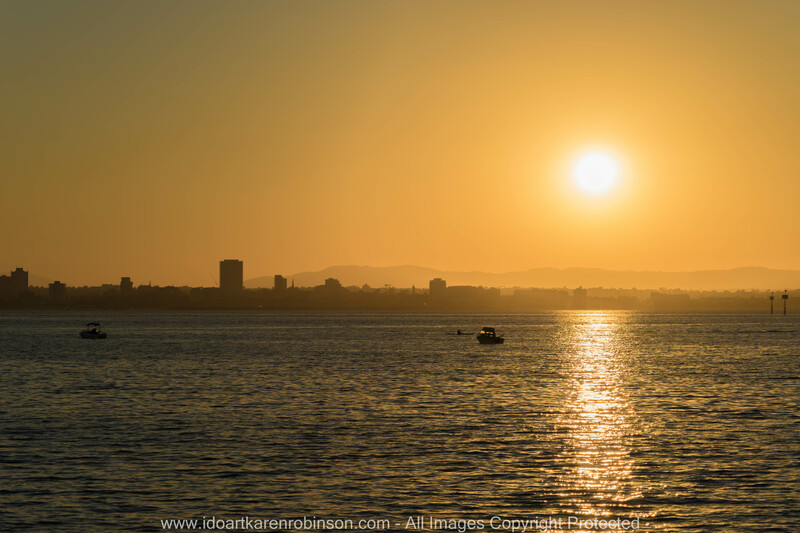 This entry was posted in Photography and tagged Adobe Lightroom 6, EOS 1100D Canon DSLR Camera, idoartkarenrobinson, Karen Robinson, Port Phillip Bay, Samsung Galaxy S6 Mobile Phone, Seascape Photography, Sony A FE24-240mm F3.5-6.3 oss Lense, Sony A7 Mark II Camera, Spirt of Tasmania Ship, Wellbeing, Williamstown, Williamstown Pier, Yatchs by idoartkarenrobinson. Bookmark the permalink.